Winter camping is great here. 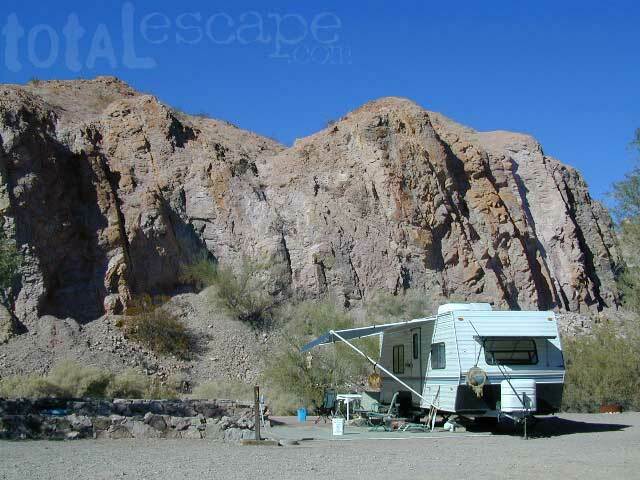 Hunters, fisherman & RVers alike, all know the best kept secret.. Picacho Peak on the Colorado River is prime spot for outdoor recreation & camping. Canoe, kayak, fish, hunt, mtn. bike, hike, & off road. All this, less than 3 hour drive from San Diego. 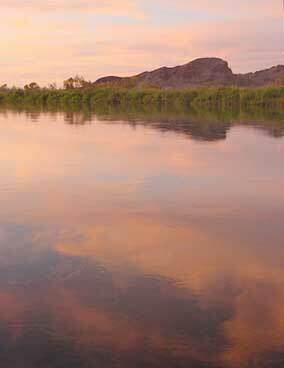 Ancient volcanic peaks surround this area of the Colorado River. Good stopping point on a river trip between Walter's Camp and Martinez Lake. 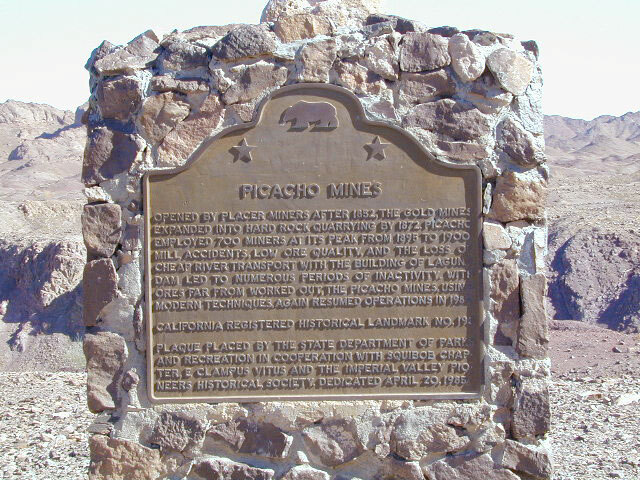 A century ago Picacho was a mining town with 100 citizens. Now it is a State Park, offering diverse scenery, including cactus, burros, bighorn sheep and thousands of waterfowl. 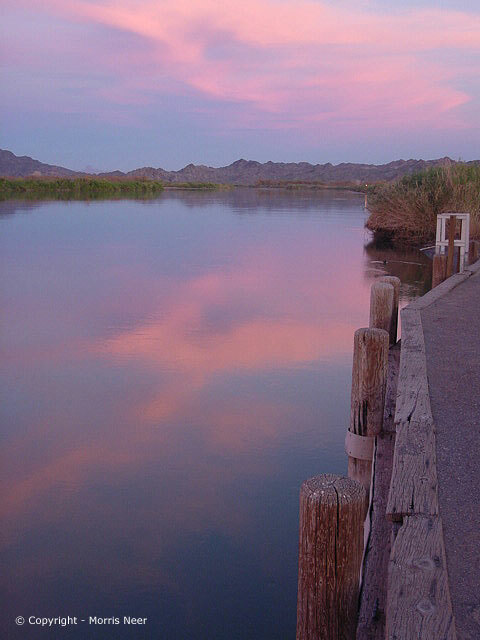 The impressive lower Colorado River is the recreation area on the eastern border of California. 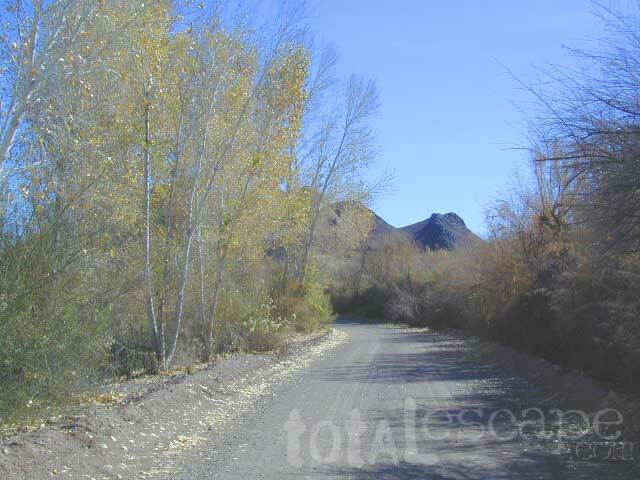 Take the 20+ mile dirt road north from Winterhaven, off Interstate 8 (W of Yuma AZ). The road to Picacho is paved only a few miles, then becomes graded dirt. The last 18 miles is over a desert road that is easily passable for passenger cars & motorhomes. In the summer months thunderstorms can cause flash flooding in the washes, making sections of the road impassable. 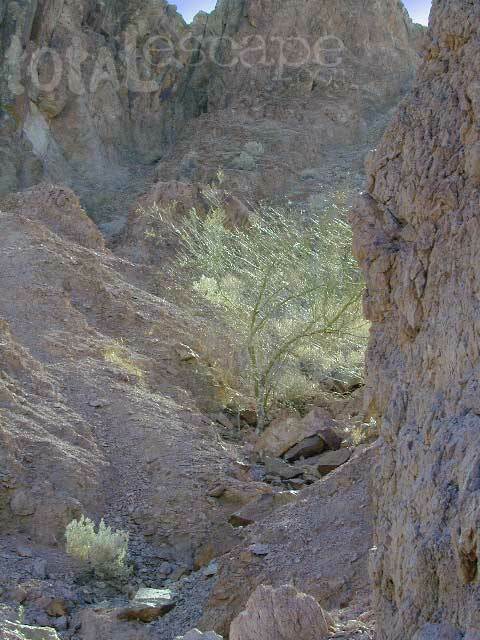 Check weather forecast before traveling into this flash-flood region of the California desert. 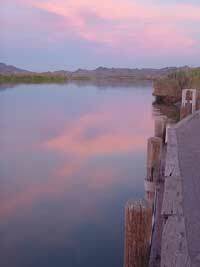 RIVER PARKS: Bordering the opposite side of the river is Arizona wetlands known as Imperial National Wildlife Refuge. 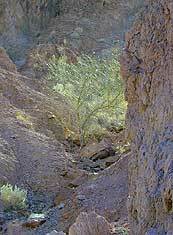 About 200 miles east is another park called Picacho Peak State Park (AZ): 520-586-2283 and that place closes for summer months. 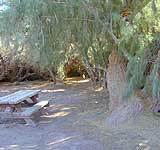 California has 2 nearby desert parks - Salton Sea SRA: 760-767-5311 about 100 miles NW and Anza Borrego Desert State Park, approximately 100 miles west off Interstate 8. Picacho California, rich in desert history, was once a small mining town. 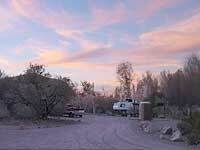 Historic signs, trails & buildings surround the Picacho Campground. 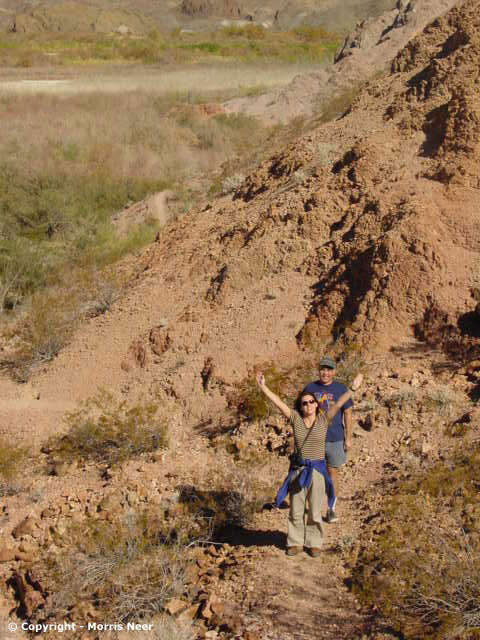 Enjoy several long days of hiking old mine-train rail lines, exploring the river bank, and doing a little peak bagging of some desert outcrops (Picacho Peak, 1947', is a standout). Mountain biking is good here because the track beds that lead into the mountains are quite level. 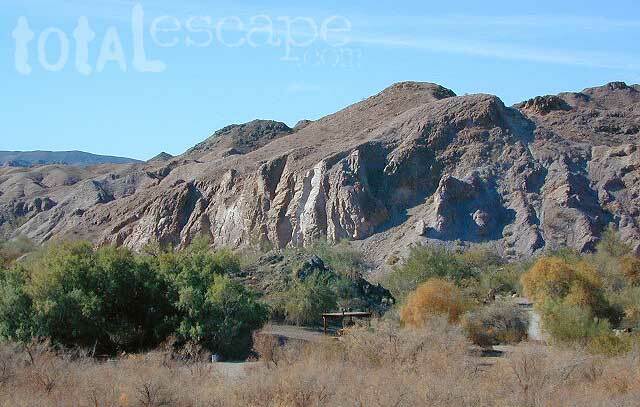 Hike straight from the main campground to many areas along the scenic rivers edge. Stroll thru old graveyard & read about the areas history. Senator Wash - south end of park, open dispersed camping between Squaw Lake & Senators Wash.
BOAT IN CAMPING > No back road dispersed camping inside park boundaries. Small campgrounds for boat in camping listed above. The majority of this desert scenic area is dirt back roads, so get prepared & take precautions: water, warm clothes, matches, tune up. Also get your SUV out & ready to explore. Many roads could require 4wheel drive, but there are still plenry suitable for 2WD. The main road up the Picach Campground is fine - for RVers that don't mind the long haul on a wash board road. The main attraction here is the Colorado River, fishing, hunting, easy freeway access & the off roading options are an added bonus.